The second programme in the Genius of Invention series was mainly up to the usual high BBC documentary standard. The Lad returned to it following his review of the first of the series. Most of his original thoughts this time were, in truth, nit-picking: why the presenters were gurning so much with their continual, strained grins, indeed why were there three presenters at all . On the latter, the producers presumably wanted to avoid the unthinkably, unfashionable, single lecturer. Mostly though here the jump cut effect is mere hyper-activity. As well, there seems no logic in having an “industrial archaeologist” who shows little archaeology but does instruct another presenter on certain simplistic features of a modern jet engine. Then the Lad realised that something had almost passed him by with only a momentary feeling of something wrong. There was a programme segment on Nicolas Sadi Carnot that sought to discuss the efficiency of steam engines. He went back to review it and was amazed. Neither of the two presenters involved even mentioned the central point that, in any and all engines, heat must be rejected for them to produce power. That is not difficult to tell. It led to the Second Law of Thermodynamics: probably one of the most important things that humanity has learnt about the operation of the universe. This is what we have to thank Carnot for. Instead it offered a model engine that was, frankly, laughable. Not because it was solely two lengths of plastic guttering rather than piston and cylinder. That is of no concern. One problem was that it was not even any sort of analogue. Then there were a ridiculous trio of jars each with a different amount of coloured water and given wrong descriptions. It was more like the sleight of hand that is the huckster’s Shell Game. There was mention of an ‘ideal engine’. There were leaks said to represent energy losses due ‘waste heat’, ‘bearings’, ‘friction’ and ‘noise’. Most of these losses, in the real world, illustrated the First Law of Thermodynamics rather than the phenomenon that was Sadi Carnot’s insight. The whole segment cast no light on Carnot’s insights; indeed it instructed the viewer wrongly. What was Professor Mark Miodownik thinking about associating himself with this train crash of a presentation? The Second Law of Thermodynamics is central to the practice of real engineering, but this segment added nothing to the story linking Stephenson and Otto and Benz and Whittle. It should have been left out. Putting it in damaged the credibility of the whole programme. Engineering is one of the three drivers advancing the human race. This blog describes real professional engineering as it is in the real world. It is not well served by the current media. An engineer is posting: not a ‘scientist’. The Lad is entirely independent of any organisation mentioned. The target of the blog is the career seeker and the general public. Here is the return of The Lad after an absence from cyberspace caused by an egregious failure by a new ISP. Let’s not go there; at the moment, at least. It is only a short comment on the first programme in a new series on BBC 1 called ‘The Genius of Invention’. The first thought on looking at the title, was the familiar hobby-horse of The Lad: it’s not invention or inventors [or scientists – on another day], stupid, it’s engineers. Hold on a moment, though. It is perhaps not necessarily engineers who discover and investigate natural phenomena. It may, and often is, scientists like Faraday or even gifted amateurs who come up with the goods. So, let’s not go down that road this time. Let them have it as a title. OK, now the programme. Visually and technically it was pretty good. Graphics that The Lad saw of the ideas behind the Newcomen and Watt machines were excellent. With James [steam condenser] Watt at its centre, this edition promises well for the following three programmes. Each of which has at its centre one of Frank [jet engine] Whittle, Michael [electric power] Faraday and Charles [turbine] Parsons. Fronting the presentations was Dr [medical not PhD] Michael Mosley. His ‘wingmen’ were Dr Cassie Newland, University of Bristol industrial archaeologist, and finally, thanks to the Gods of TV Commissioning, an engineer. This was Professor Mark Miodownik, engineer, materials scientist and Professor of Materials and Society at UCL. A skewed team; no doubt the producers think it rakish. So: not encouraging. Moving on, though. At least it was set in a real place, Drax Power Station: currently the biggest coal-fired power station in the UK and providing 7% of the power for the whole of the UK on its own in this one place. It is a place that is both real and important in the everyday world and in engineering terms. Sadly the first real person representing engineers was in overalls. And male. He probably does wear them though for his work as he was the overhaul manager. Notice that. He was not the design engineer or the manufacturer. The vast size of the building and the scale of the ‘set dressing’ imposed themselves on the viewer. It should give pause for thought for any “small is good” advocates. Consider the magnitude of the task for small scale power generation to replace this place and be a significant solution to power generation in the modern world. That is nearly 4000MW for 24 hrs a day, every day. The distant views of the presenters talking to their cameraman was a bit gimmicky but at least it gave an idea of the scale of the Drax hardware that surrounded them and are part of the world of the power generating engineer. The dalliance with a large Drax stop valve lost a bit in translation being as the hardware was lying on its side on the floor. Its height, The Lad guessed, was at least twice that of the human beings, if not more; a striking image that simply did not appear. Yes, you are right. The Lad is jealous. Oh to be able to direct such forces toward his take on engineering on a prime time, main stream, TV channel. The next programme is devoted to Speed. It will, one imagines, introduce Frank Whittle at least. Certainly Rolls-Royce will continue with another of its recent starring roles on TV. Money could not buy this advertising exposure. The handbook says check the oil with the car on the level. On holiday: everywhere nearby was sloping a little. Sure enough: at each place the level on the dipstick seemed different. His Irritated hunt for somewhere suitable gave The Lad ample time to reflect that the measurement of the amount of oil in an engine seemed remarkably low-tech in this day of high-tech engineering,. It’s like having to use your finger in the dark to find out how much beer is left in the glass. What does the engineer demand that the oil do in a car internal combustion engine (ICE)? We will come back to that question. Most other features of the ‘driving experience’ are either electronically governed or satellite mediated and unlikely to be less so any time soon. What is it about the oil? Even that most complex and technically advanced of power plants, the gas turbine aircraft engine, has a sight glass. That is, arguably, less advanced still than the dipstick. By definition when the engine is running, oil is distributed throughout the engine and there is instrument power enough to measure pump pressure. But pressure does not vary with the amount in the engine. Until it is too late, that is. How are you to discover how close it is to running out? Firstly, the engine designer has to send the oil to one place to give us the chance to measure it. Clearly, it can only be allowed to go to that one place when it hasn’t got anything better to do elsewhere. Only when the engine is stopped can the oil go for its roll-call. But when the engine is stopped, we cannot afford any significant, power drain from the battery; neither for pumping oil to a tank, nor for a powered measuring instrument. There is only one force to do the jobs. So, gravity it is. The roll call takes place in one place: that place is in a container at the lowest point where gravity can be relied upon to drive the oil. To save space under the bonnet and give suitable ground clearance, this container will be relatively shallow, probably wider than it is deep. If you have ever tried to carry water in a shallow dish without spillage, you will know how difficult it is. The liquid is very eager to migrate to one end or to the other. As an aside, it is worth showing how some things are important over a wide range of engineering affairs. In another part of the engineering forest, this liquid behaviour, called the ‘free surface effect’ is also very important to naval architects who are designers of ships. For them, in tanker ships and ferries the free surface effect is not just an inconvenience: its management is a matter of life and death. In 1987, 188 people died and many more were injured in the Herald of Free Enterprise when it capsized in less than 4 minutes after sea water entered an undivided, vehicle deck. The engines that power most cars and trucks on the road are reciprocating ICE engines; that is those with cylinders with pistons in them. The Lad has never been involved in their design. However, as an engineer, it became clear to him that this eagerness to migrate to the ends of its container is central to the dipstick problem. It is this that means that the dipstick level is different when a car is on the level or on a slope. Is there a position then that means the variation with any slope is small or, at least, as small as possible? Yes there is. The Lad set up a toy demonstration of this effect. 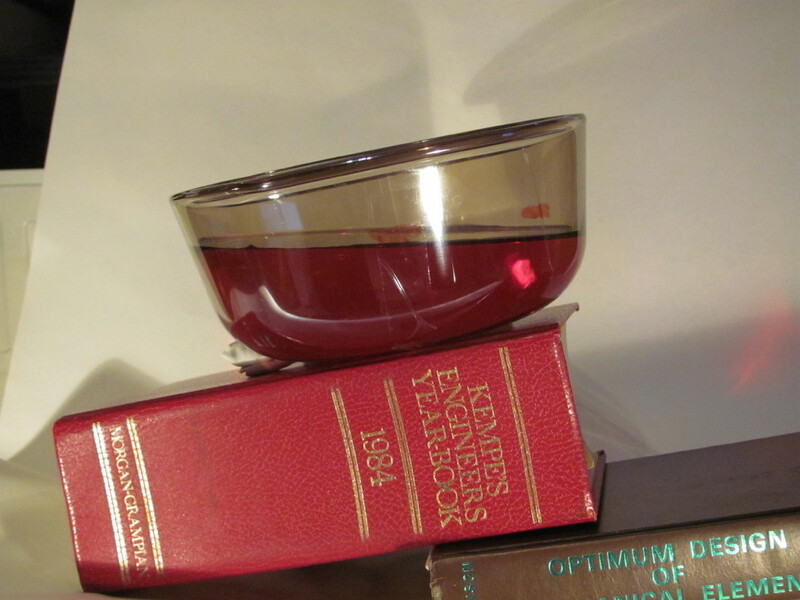 Below is shown a container with three [not very clear] red marks at the liquid surface. First, the surrogate tank is level and each red mark is at the liquid level. 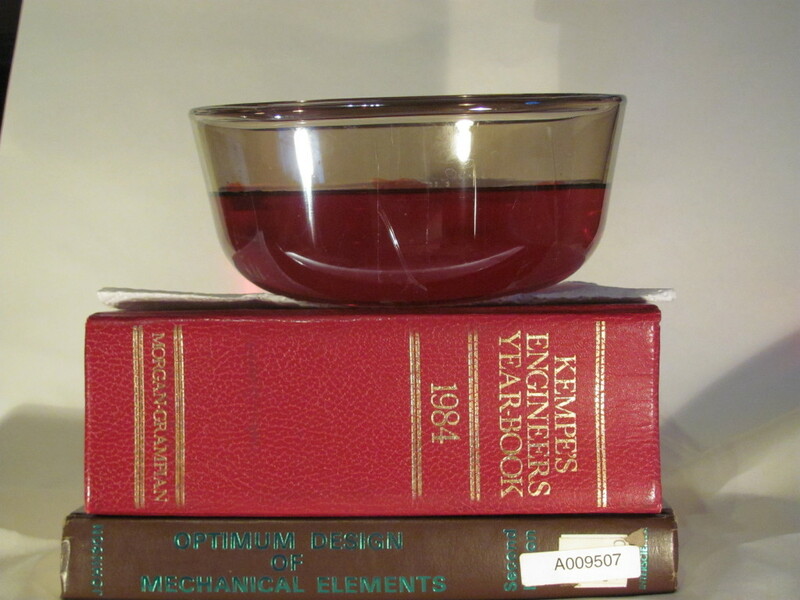 The views expressed in this post are not necessarily those of Kempe’s Engineers Year-Book. No engineering book was harmed in this demonstration. Now if we tilt the ‘tank’ down at the left as if the ‘car’ was on a slope, what do we see? The liquid level rises above its left hand mark and sinks below its right hand mark. Not surprising. The next image shows the effect more clearly. Now, tilting the ‘tank’ down to the right; the level on the left falls below its mark. The point that we are making here is that levels measured close to either end of a tilted tank vary significantly. These images show [although far from Wallace and Gromit standards] within their limits, one important effect. There is one place to measure where the tilt has no effect. It is half way between the tank ends. So: we see that breaking the liquid surface midway between the oil sump sides is the best place to site the dip stick. Then any slope will have no effect on the measurement. Clever, eh? So, there we have it. The student interview syndicate answer! Right! Here is the dilemma. How do we make it accurate in a real engine? The dipstick cannot go anywhere you like. It has to take account of the engine structure for one thing. The pistons and cylinders and valve camshafts tend to get in the way; not forgetting all the rest of the components, large and small, that pack the engine compartment these days. Now The Lad is not an ICE specialist and the above is naive perhaps or too simple. So who would know? The UK company, Ricardo is one of the foremost specialist ICE designers. They have been engine designers for nearly 100 years, working on a very large number of projects, Their market has included defence, motor sport and marine. They worked as part of teams with General Motors and Chrysler of the US to design a class-leading V6 engine capable of global implementation for GM and, for Chrysler, the Dodge Viper engine upgraded to 8.4 litres and a massive 600 horsepower for the ultimate muscular American sports car. Ricardo engineers work on driveline and transmission system engineering. There have been cost-optimized manual transmissions for developing markets and advanced and high performance systems such as the dual clutch transmission of the Bugatti Veyron. In short, they are proper engine designers; not ICE dilettantes like The Lad. A Ricardo engineer put it this way. The dip-stick provides a rough estimation of oil levels in the sump but it’s not necessary that this is wildly accurate. We can tolerate the effects of slight changes in pitch/roll of the engine in comparison to the acceptable level between maximum and minimum recommended fill which is very large. In practice the dip stick is usually placed mid-way along the engine but again, this isn’t particularly critical provided that oil level is being checked on reasonably level ground (as specified by almost all manufacturers). During the engine design, as the Ricardo engineer put it, the design engineer knows that it is essential that he or she ensures that there is enough oil capacity and enough oil circulating to maintain sufficient cooling to avoid overheating the bearings. These days, oil coolers are also commonly used for this purpose, especially in hot climates or where the vehicle is working under extreme loads (e.g. towing in mountainous areas). During engine operation, the crucial consideration is that there is oil at an acceptable temperature available at the pump intake when the engine is operating – this will typically be drawn from around the lowest point on the circuit. On the other hand significant over-filling should be avoided as this only causes wasteful churning and possibly some oil reaching the combustion chamber. The quantity of oil specified for a given engine is not an exact science but a compromise based on the above comments – usually erring on the conservative side. There, now, you really do have it! The engineer’s emphasis was that these are the key points in the mind of the ICE designer; not agonising over the height to a mm of the oil surface. Good ideas, even clever ideas, are not enough. Engineering for the designer is to have, backing her up, real experience of the components in the gritty world. The engineer is always pragmatic at heart and the real-life solutions are usually complicated and not always tidy. Engineering teams, like Ricardo and others like them at the top of their game, have this experience. If you want to be an engineer, seek them out. If you are really in difficulty finding a level surface, there is an approximate solution. Check the dip stick with the car facing one sloping way, then turn the car till it is facing in precisely the opposite direction and note the dip stick again. Half way between the highest and the lowest is a good reading. You would be right but only partly so if you said the job of the oil is to lubricate bearing surfaces. An equally important task is the cooling of the core components of the engine that external coolant flow cannot reach. Gavin Turk told a newspaper [sadly, behind a pay wall] about a day in his life. He was one of the original Young British Artists and is a busy man employing several people. We learned about some of his past work. There were the 1000, signed sheets of paper each just marked with a ring from a cup of tea. Then there were the bronze casts of bite-marked, polystyrene cups painted to look real. He also took a single bite out of lots of Rich Tea biscuits (because, he said, of his interest in ideas about identity and how he could manipulate his image and name) signed each one and then sold them for £25 each. The Lad looked up at the very moment after reading this piece. A shipping container on a lorry passed by the window. 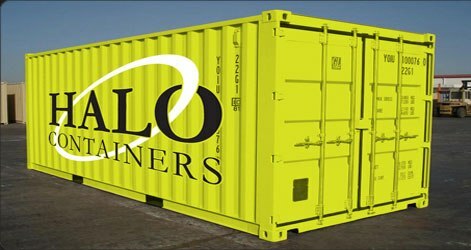 Engineers designed Containers like this one. The conception, design and value of the container were different to Turk’s works. The concept and design of the container has transformed international commerce. That transformation, without exaggeration, is equal to the change from the stagecoach to the High Speed Train. That has changed the World. If you want to discover more about how it happened there is a very readable book. It is called “The Box. How the Shipping Container Made the World Smaller and the World Economy Bigger”. It is a marvellous story of how Containers did for shipping what computing did for engineering. Astonishingly there are no illustrations at all and only one simple graphic in the book and that is a line diagram on the title page. One of the pleasures of the engineer’s tasks is the justified satisfaction in plucking out of her mind a design to do something and turning into a new object. True, the engineer is kin to the artist in that most artists also have a similar satisfaction in a task well done; that is of making something in their case mostly to give pleasure to the onlooker or to achieve a particular effect in their mind. It must be emphasised that there are occasions though when high artistry is vital. Even when it is not vital, it can still, combined with the right product or structure, add immeasurably to its quality. Few engineers can provide both qualities. For the later, take the Olympic cauldron for London 2012 Games designed by Thomas Heatherwick. The concept needed an artistic intelligence of the highest order. It got it. Superb: there is no other word for it. First the artistic vision of many, separate petals: one for each of the countries taking part. 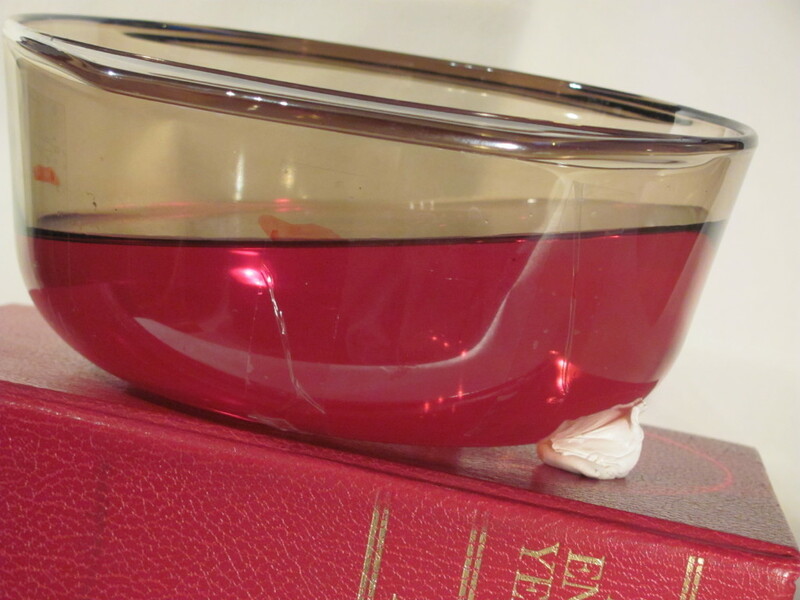 Then the vision brought them together to become one cauldron. The engineering design then kicked in. It had to design the burners to produce the right flame picture; the fitting of the petals and the gas supply: the mechanism to raise them elegantly in synchrony into the air; to stand rigidly together in the stadium environment. A magnificent, dramatic blend of art and design. Then there was the container that passed The Lad. Such ubiquity in modern life! Yet there is good engineering in this. You may argue that there is no artistry in the design of the shipping container. Even if you argue that fitness for purpose or form following function cannot be classed as such there is certainly intense creativity in its design. 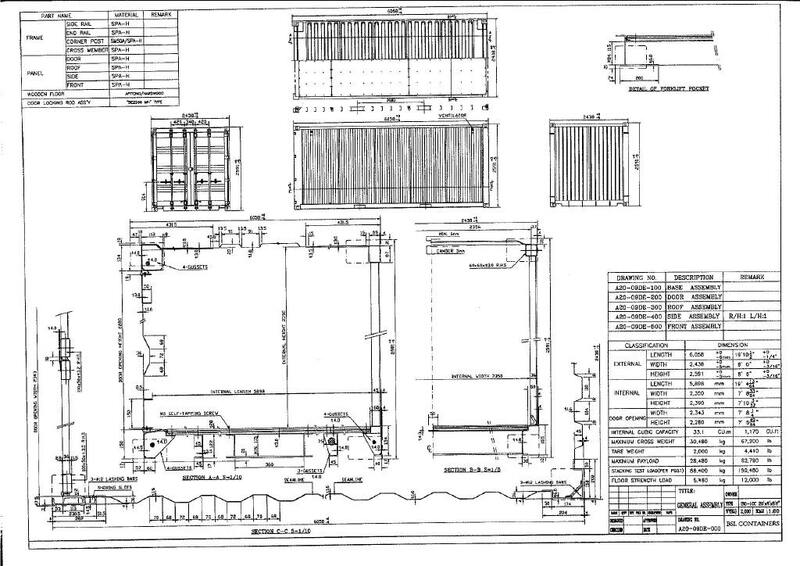 Then there are engineering drawings which have no artistic flourishes and are stripped down to the barest essentials to define any component or assembly of components. Nonetheless as an engineer The Lad finds in it, not surprisingly perhaps, a spare beauty. This is the General Assembly of a Shipping Container. An engineering assignment. "Design a Container"
All listed shipping container types have a double door on one end which can be opened completely. The heart of the design, however in the view of The Lad, lies with the corner fittings. They are not complex: they could even be called magnificently simple. They are the components that allow each container to be picked up and also to be firmly attached to the transporter or another container above or below itself. This is a drawing of one . Not all clever pieces of engineering are complicated. Some are quite simple. You will see that there are a number of holes or piercings in the corner fitting which are not circular. Each corner fitting is multiply connected as the mathematicians would put it. That combined with their need for some reliable strength makes their manufacture worth considerable thought. How would you make them? Machine them from solid? Or forge them? Stamp them? Weld them? There is a good video talking of corner fitting features here by Tandemloc. There is a hair-raising video showing the problems that the engineer seeks to design against here. Such a problem though is one of the invariants in any engineering design. Engineers load up a piece of the real world and any failures will have real consequences. Some of those consequences will be serious. Uncontrolled release of forces in the real world can have explosive effects; leading them to exert large effects somewhere undesirable – usually nearby. Such a risk is the shadow under which the professional engineer labours: it is for what she or he is paid. Every person in the world every hour of the day has to trust that they are successful. Note that container corner fittings are actually cast and the cast components are then welded into the Container structure. Consider why this is so. By the way, apparently, the Gavin Turk, Rich Tea biscuits are now priced at £108 on the Turk website. He does have insight about this though by saying that people would wonder why they should pay. The Turk response though clears that up because that’s what “I liked about it.” No doubt. Does Gavin Turk find fulfilment in his daily work? Is he delighted (or at least, at the end of the day, reasonably satisfied) with having achieved something? More likely, he is punching the air at having discovered how gullible some people are. He must be having a larff (all the way to the bank). Engineering is one of the three drivers advancing the human race. This blog describes real professional engineering as it is in the real world. It is not well served by the current media. An engineer is posting: not a ‘scientist’. Its target is the career seeker and also the general public. Last night The Lad was delighted to see his Master, Brunel, star in the 2012 Olympic Opening Ceremony. Danny Boyle, the film director, was the guiding spirit of the ceremony. While some of it was somewhat eccentric, at least, none was PR, journalistic or political boiler plate. There was a true artistic intelligence in charge. At least, that is, till Sebastian Coe and Jacques Rogge shouldered their way in for a drone. Any way, you could see where the £27M went. One of the set-pieces, seeking to show something of the UK self-image, was a giant coup de theatre representation of the whole Industrial Revolution. It included fiery furnaces, steam engines and full height factory chimneys and a cast of, truly, thousands. And there, marching through the throng, came Isambard Kingdom Brunel: or, rather, his avatar Kenneth Branagh fresh from his TV detective gig as the gloomy Swede, Kurt Wallander. It also seemed to The Lad to show the thoughtful spirit of Boyle to give a starring part also to the living Sir Tim Berners-Lee, inventor of the World Wide Web. That led to the question of whether, with his education, would he have been familiar with or capable of quoting Shakespeare? Certainly The Lad thinks that, if any profession is capable of appreciating the great playwright, so too should the engineer. His dealings with forces in the real world will make him appreciate the way that the world is lubricated by great Art. Posted on July 28, 2012 Categories Current News, Engineers in the WorldLeave a comment on The Master ‘Speaks’? Naming Convention 02 – The Answer? The Lad held forth in the last post on the use of the name of Engineer in IT. This was based upon a self-awarded mandate. This stemmed from his being a coarse engineer: alumnus of an ancient school who, since time immemorial, have wrestled with forces in the natural world. The conclusion was that there were engineer practitioners in certain IT fields such as chip and disc drive design. He argued that the practitioners in those other IT fields of software design and systems analysis are not engineers. Some will find this stemming from woeful ignorance or, at least, patronising. Both will tend to ignore any views from here and are fully at liberty to do so. But let us not take this hard line for a moment. It’s all very well to knock something down; it is at least courteous and professional to make an attempt to replace it. The name ‘cyber wrangler’ will, quite likely, be dismissed as not serious. The Lad quite likes it as It does seem to have a certain ring to it; besides, he invented it. Trouble is; that ring seems to be like something from the Discworld of Terry Pratchett. in the view of David Evans Membership Director of the British Computer Society [BCS], It helps when searching for an accepted name, to have a significant back history to survey and learn what one’s profession is about. He seems to be right. He tells a story showing a complete dichotomy of approaches. In my first IT role during a year out before University, I remember vividly the MD of the company telling me we were Lloyd’s of London people first, IT people second – and he had a background as a claims manager and was a Lloyd’s name. We deliberately dressed, acted, spoke, and to some extent thought like our customers, while the companies such as ICL (who we were competing with very effectively) had people who deliberately identified themselves away from the customer – wearing Mickey Mouse ties and other things like that which almost offended their customers. Our customers treated us as partners and more like fellow human beings than they did other suppliers who they saw more as a necessary evil. Sure, we knew the technology, but what made us special was that we knew the business of our customers. I’d imagine that’s an experience shared by a lot of people in this sector. David points out that, contrary to the IT workers, all engineers have a centuries-long list of role models. Amongst these Isambard, The Lad’s Master, is relatively recent in that long line. The dichotomy in the story that David told seems to be evidence of an accepted role model. [The Lad identifies himself] with an engineer born more than 200 years ago…and it is a positive, emotive identification and one I’d imagine is shared widely amongst engineers who otherwise might have little in common. What identity or figure unites the IT profession? It’s too early to tell. He mentions as a possible role model Sir Maurice Wilkes. He, on the far right in the picture below, was supervising post-doctoral students as early as 1937. He played a part in much computer development throughout the latter half of the 20th Century; yet who died only in 2010 aged a mighty 97. He certainly influenced many people in IT over many decades. The machine in the picture was a prototype, Meccano, analogue, Differential Analyser. This was only some 5 yrs before the first electronic machines were conceived and would consign the Analyser to oblivion. Or at least to that vale of mathematical oblivion that consists of a New Zealand Meccano club that has sought to rebuild the machine. Some people may identify themselves as engineers to differentiate themselves from others they see as cowboys. Some IT people view themselves as hybrids – do they work in IT or in financial services, for example. … all I know is that people have differing views and seem to hold them for reasons linked to emotion as much if not more than a rationale. … They enable other professionals to have the right resources at the right point. For example, better use of information is one of the biggest opportunities in clinical practice – from research to safety to decision support. The legal profession will be radically altered by technology, enabling new business models and supply chains (it just hasn’t happened yet). These aspects seem to be about making organisations work more efficiently through the use of IT. This is not engineering. The Lad helped to create a small MS Access database application to reflect the existing Garden Design business tasks as it was carried it out. He had also been swept up in the rolling thunder of the introduction of an entirely new organisation in a global company to accept SAP. Two different projects indeed. The Lad was recently reading a fascinating book called Turing’s Cathedral – The Origins of the Digital Universe by George Dyson. http://www.penguin.co.uk/nf/Book/BookDisplay/0,,9780718194505,00.html?strSrchSql=Turing/Turing’s_Cathedral_George_B._Dyson . In the very earliest days of the USA side of computer development in 1944, some of the guys working on ENIAC were Eckert, Mauchly and Goldstine who all went on to great things in the industry that later developed. 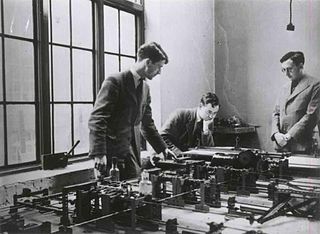 With them [according to Dyson’s book, p74] was “28 yr old Arthur Burks(a logician and philosopher turned electronic engineer for the duration of the war)” That was it! It struck me like a hammer-blow. That was exactly what the software design profession is: the profession is entirely that of practical or Applied Logic. There it is. A descriptive title dating from the earliest IT days adopted, I believe, by one of the pioneers. The name has a fantastic pedigree where it could be used to describe the greatest ancient philosophers who rank with Newton and Einstein. Software professionals: not engineers but Logicians. Is there any support for that name? Let us draw this thing to an end as it is getting to sound too much like politicking. This is just what the tasks of engineering are not about. Good Lord! The Lad is almost regretting seeing the Eric Schmidt, Google speech. Almost. Posted on July 13, 2012 July 13, 2012 Categories Current News, Engineers in the World, Views3 Comments on Naming Convention 02 – The Answer? What’s the Naming Convention 01? “Pure Science is a crucial ingredient, but it’s only when theory is applied that you have the recipe for economic success. As Edison put it, the value of an idea lies in using it. That’s why engineering is so important – it is, by definition, applied science. While astronomy inspires us to reach for the stars, we rely on avionics experts to take us there.. Physics helps explain the behaviour of subatomic particles; nanotechnology uses them to make things. Materials science determines the properties of things we build with; structural engineers apply that knowledge to design things that won’t fall down. What a marvellous statement, as a whole, to emanate from Google. The Lad had a minor quibble about ‘space flight relying on “avionics experts”. Avionics is a shortened form of ‘aviation electronics’. It is an important component of the space project but a wide range of disciplines is needed to get anywhere in Space. But let us move on. This blog is about topics in such as mechanical engineering, civil engineering, electrical engineering, chemical engineering, etc., etc. It has a working definition for such as these which involves natural forces in the world. This blog has addressed this before. Go to ‘The Engineer as Rock God’ http://isambardkingdom.com/?p=4 . The Lad then asked himself the question whether it is generally accepted, not just in Google, that every professionally qualified IT professional in any speciality [coder, circuit designer etc., etc.] is titled an Engineer? His first thought was that coding is more akin to mathematics or accountancy or the Law rather than engineering. But then chip design on the other hand seemed clearly an engineering discipline grounded on electrical forces and a type of production engineering. The design of hard disc drives, with their seemingly never-ending increase of storage size, he thinks must involve components of the highest accuracy and of minute size but is engineering nonetheless. We offer CEng [Chartered Engineer as offered by many other Engineering Institutions] licensed through the Engineering Council, but as a Chartered body ourselves we offer Chartered IT Professional [CITP]. http://www.bcs.org/content/ConTab/79 … There are … people who are very clearly in the CITP domain and others who are clearly in the CEng domain. The robustness and reliability of software is of vital importance in many applications (can mean the difference between life and death) and so software engineering as a discipline must be taught in accordance with the principles of what it means to be a chartered engineer just like any other branch of engineering. … being CEng means more [than CITP] to me. … we teach a degree called Computer Science but it is to all intents and purposes a Software Engineering degree and I’m very proud that … our students are qualified achieve the award of CEng. Here is an intellectually powerful, highly distinguished academic who is, both a CEng and, also wants to be an engineer. Respect! Genuinely, engineers must be very grateful for this, and accept it graciously. The Lad certainly does. Lord knows; there are so few engineers of the status of Professor Hall apparent to the popular consciousness. Well there you have it. We have three distinguished practitioners regarding themselves as engineers and two of them have taken significant time to wrestle with our question for us. What are we to make of it? What is there to be said? Statements and questions follow. Discuss. Robustness and reliability in the practice and drafting of a law can mean the difference between life and death but is not engineering. Is not the ‘art of the possible’ in coding governed mostly by the mathematical logic of the mathematician? Does a hard-nosed, results-oriented attack on obstacles in any endeavour make it engineering? Can the chip manufacturer or the designer of a high speed printer be a member of the same profession as coder or designer of a server operating system? Is the cabinet maker a member of the same profession as the toolmaker of her planes and chisels. No more an author is a printer or bookmaker. How true is it that “Software engineers build things.”? Should not “things” have more substance than software “objects”? Has the title ‘School of Electronics and Computer Science’ got it about right? It has been more difficult to write this post than any other so far. The Lad moved easily into pompous sermonising: there came rolling phrases and solemn cadences about misuse of language, naming conventions, wanting being not enough and so on for several, heavy paragraphs without end coming into sight. But to hell with it: it’s really simple. The word ‘engineer’ began with those who began devising and building structures to generate or convert existing forces to replace human, animal or wind and water power with something more convenient. Engines, see? To repeat: up until recently all those engineers (undoubted engineers – such as civil, electrical, mechanical, hydraulic, etc. etc.) have each waged the one common, fundamental struggle. It is that of dealing with forces already existing in the natural world to bend them to the benefit of humankind. This common feature must, therefore, be the fundamental criterion for inclusion under the aegis of the term.The only exceptions have been those writers who would, describing individuals or tasks, use the term to picture a practical person in some sort of analogy. Those who design and build physical computers or components are wrestling with electromagnetic forces in electronic components and materials. They are, thus, engineers. However, those who conceive the software structure and write the instructions are not dealing with forces in the natural world. They can only be engineers in some analogy: treating with ‘forces’ of logic in some Platonic world of Ideals. Then, consider the infinite plasticity of Turing’s Universal machine. What could be more remote from the challenges of the natural world and its real, physical working materials? These challenges and materials comprise the world of the engineer. Ergo! The workers in Information Technology systems design and software programmers are not engineers. This is not to suggest in any way that the software and systems tasks that they face are easy. Indeed, in some ways, due to the almost infinite size of the field of endeavour; the logical intensity of a complex program and the consequences of error [NatWest, 2012 and spacecraft – say no more] the tasks provide the highest intellectual challenge. What to call them is the topic of the next post. Here is a teaser: in what way will this image will be part of it? Posted on July 2, 2012 July 13, 2012 Categories Current News, Engineers in the World, Uncategorized, Views2 Comments on What’s the Naming Convention 01? Spoiler alert! A bilious fragment of truth follows. It is not the whole story but The Lad will defend it from those who will feel that it must be attacked. The ‘slebs’ of high and low culture are celebrated in the media with acres of print and hours of video coverage. Those who harness the natural world so that it has some surplus, to support the rest of the human race go relatively unsung. Driving along the North Wales coast at Easter 2012, The Lad caught a glimpse of a ship, the MV Carrier, grounded in a storm a few days before. The TV news announced that they would seek to re-float it after they had emptied the tanks of fuel oil. It was not a large ship but it was the size of two or three cricket pitches sat against the rocks and weighed perhaps a couple of thousand tonnes. “Shift that ship!” Who do we go to? We go to the men and women who matter. They are the engineers and mariners. They, as far as is possible in this harsh world, are the ones who apply methods beyond the ken of most others to pull irons from the fire. There are a million possible examples those who have supported the Human Race in its battles with the harshness of the World. Here’s just two at random. Championed by my guvnor, Isambard Kingdom Brunel, Sir Joseph Bazalgette designed and built the great sewers along the London Thames Embankment. This vanquished both the killer, cholera, which threatened the inhabitants of London and also the stench that violated the Houses of Parliament. It allowed that vast city to continue to thrive and move on to organise mercantile trade and the Empire that brought wealth to England. Building ships on a production line in the Venice Arsenale, a place in itself strangely unreported in English, that on the other hand was well reported, brought wealth to the Medici’s and supported the artists and musicians of the Renaissance. Without those who make things the artists would be found only in the depths of a cave scratching and smearing colour on the walls. The writers reduced to muttering tales to the tribe by the light of a flickering fire whilst hunching a stinking skin closer round their shoulders. That is before they are dragged out to help the community hunt down or gather some food. I am briefly embarrassed by being reminded that this piece was written one hundred years to the day that RMS Titanic set sail on its first, and tragically, last voyage. Is this fact a hostage to fortune and the literati? All I can say is that no product of the human mind can be perfect especially when under the control of another human being. We know that this piece has just been a cameo irritant. Lighten up! It’s scratched that itch for the moment and we need to move on to something more considered. Here you can see the Dutchmen, Smit. What a marvellous, blunt, simple name for engineers! They are the real marine engineers, naval architects and mariners who do amazing things. No connection , by the way, except of admiration. The Lad has seen, at a distance, some of the things that they can do in moving enormous structures across the sea and then, believe it or not, a mile or more across the land. They have done some work on the notorious ‘Costa Concordia. Once upon a time, long before the title of a Chartered Engineer was even a twinkle in its Daddy’s eye, the MIMechE’s and the AMIMechE’s ruled the mechanical engineering roost, and the Institute of Mechanical Engineers required The Lad to study “The Engineer in Society”. They had in mind to make the tyro engineer look up from his drawing board and slide rule and to recognise that he needed to know that were other aspects to the world. He had to learn about what motivated a work force. That he had to have scruples and not seek to diddle others. There were some economic aspects to engineering. The Lad did not think that they had quite got it nailed then and still does not. The twin of or undercurrent to the profession is wider than that. It is Commerce. It goes as far back as engineering if you consider the Roman Empire with its civil engineering of aqueducts and its commerce across the Empire. Others have said that an engineer is someone who makes something for a dollar that anyone can make for five dollars. Though over-simple, it emphasises an important point. For the real engineer, economics is intimately bound up with the physical forces with which he or she wrestles. Engineering is ancient but so also is the trading that generates the wealth that funds it. Bruges in the 1120’s was already an amazingly thriving and bustling centre of trade for the whole of Northern Europe. It generated new wealth where it traded in wool, cloth, furs and jewellery. Count Charles the Good was the man who administered the rule of law in all Bruges that so facilitated the storm of trade. You can be sure that, in this financial ferment, engineers would have been busy designing ships, harbours and port machinery to keep the pot boiling. On Wednesday 2 March, 1127, the Count was assassinated leading to great fears about its effect on trade. We know that the terrible news reached the merchants in London in only 2 days having been carried a distance as the crow flies of 150 miles. This distance, mind, was entirely over the wintry, wild North Sea covered under sail; no mean feat even today. The Lad finds this so remarkable in that it was only 60 years after the Battle of Hastings and King Henry I was on the English throne. While Bruges was in the north east of Europe, in the far south east of Europe where it butted up against Asia, there were the Seljuk Turks. Their enlightened, tolerant government and culture was at its height in the mid-1200s. The Seljuk Empire spanned the ancient trade routes of Anatolia, the famous Silk Road, the camel trails along which the riches of Persia and China were carried to the markets of Europe, and vice-versa. With trade came wealth, so the Seljuk sultans worked to encourage, increase and protect commerce by road. They improved roads and had their civil engineers and builders build hundreds of beautiful caravanserais to encourage trade with the east. These huge stone buildings were made to shelter the caravaneers, their camels, horses and donkeys, and their cargoes, to keep them safe from highwaymen and to provide needed travel services. The typical Seljuk caravanserai is a huge square or rectangular building with high walls of local stone. There are fine images at http://www.turkeytravelplanner.com/architecture/SeljukCaravanserais.html . Through the main portal, you pass the room of the caravanserai’s manager and enter a large courtyard. Around the sides of the courtyard, built into the walls, are the service rooms: refectory, treasury, Turkish bath, repair shops, etc. At the far end of the courtyard from the main portal is the grand hall, a huge vaulted hall usually with a nave and three side aisles. The hall is usually lit by slit windows in the stone walls and a cupola above the nave. The hall sheltered goods and caravaneers during bad winter weather. Caravans were received into the caravanserai each evening, and were welcome to stay free for three days. Food, fodder and lodging were provided free of charge, funded by endowments courtesy of the building’s wealthy Seljuk founder who had also given money for the building’s construction and for its maintenance. Our Twenty First Century Motorway Service Stations do not benefit from the comparison! ‘The Merchant of Prato: Francesco Di Marco Datini: Daily Life in a Medieval Italian City by Iris Origo’ is one of the earlier classics of the literature in this field of economic history. It tells how the Merchant began in 1350 his path to a commercial fortune. In 1350 Edward III was on the throne of England and was a power in Western Europe. In another book ‘Hawkwood’ by Frances Stonor Saunders there is a pithy, summary of the situation only 10 years later. “Milan was favoured by the merchants who trafficked goods between Lombardy and the great fairs of Champagne and Lyon. It was the merchants who had organised the routes through the Alps, collaborating with local authorities to police the roads, erect bridges and establish posts high in the mountains where their members could find protection from weather and brigands. All this was referring to Chaucerian times in and around the year 1360. Milan’s trade was her lifeblood, and her bloody trade was arms, which evolved through access to locally produced iron, large quantities of charcoal from Alpine stands of timber, and the fast-flowing streams to operate tilt hammers and polishing mills. The relationship of engineering to the Military-Industrial Complex of Eisenhower in the 20 Century foreshadowed here is an important topic that needs to be addressed in another post. Merchants and commerce are those who engineer the economics of our world into some sort of working order. Then Banking and its offshoots of derivative trading appear and are tending to de-stabilise economic activity. Despite this, just remember the intimate involvement of engineering and commerce. Argue, if you want, whether commerce is the tool of engineering or engineering is the tool of commerce. Alternatively, symbiosis could be argued. The Lad unsurprisingly holds strongly to the primacy of engineering. The metallurgist calculated that the markings in the crack had been advancing for between 36 and 100 flying hours before failure. He found this from the marks [behaving almost like tree rings] on the fracture surface. If he could have looked at the fracture on the other piece of the gear [never found], he may have found that more than 100 flying hours could have elapsed. So, it looks like it was a problem internal to the material of the planet gear that caused it to break up. Rather, that is, than damage introduced externally to the component or outside the mechanism. What materials does an engineer work with? With what does he design structures? Nowadays, it is most frequently with metals. On some occasions though, he may need to specify a natural material like wood [such as a building structure of internals] or a non-metallic [like fabric for the O2 Arena roof or carbon fibre or plastics for racing car bodies]. For this post however, we will confine ourselves to considering metals. What is it that is important about metals? Most often it is the raw strength of the material; how great the force is that is required permanently to deform it. Once permanent deformation starts to happen in a component from overload; then we do not know where it will stop. The engineer wants to avoid that. However, there are other strength aspects of metals that may, in certain tasks, trump raw strength such as fatigue strength, creep or toughness. Some metal alloys can be said to specialise in these different capabilities. A very frequent cause of engineering failures in aircraft is fatigue. That is a failure caused by the repeated application of a stress that is smaller than the ultimate stress that will break a component with a single application. Fatigue is, by definition progressive and usually releases small pieces of metal before final failure. A failure of this type is one of which helicopter designers are extremely wary. It is compressive failure in the bearing race under the balls or rollers, called spalling. It is mainly for such chips that the magnetic chip detectors are seeking. It helps to understand how to choose a suitable material for a design if we allow ourselves a little over-simplification. For an engineering material, just as for a recipe for something to eat, there are certain defined ingredients and a definition of how they are prepared and treated [cooked?]. For the engineer and metallurgist their chosen material is defined by two aspects. There are the ingredients which are chemical elements [mostly metals but not always]. Then there is the preparation sometimes flattening, [not unlike rolling the pastry for food] or shaping or cutting, and, usually, some form of heating and cooling. Every material that we use can be had in different grades starting from some form of the raw and passing on up to some form of the extremely pure or refined. From the former to the latter the cost invariably increases. This is not unusual. It is true for a range of fabrics passing from coarse, denim for a pair of jeans to fine silk for a shirt. So it is for metals used in engineering from pig iron to single crystal, nickel alloy for a turbine blade. Such a turbine blade can easily be rated, in terms of the skill with which it is made and its value, as the equivalent of a Fabergé Egg. Although most workaday components are not made from pig iron; they are at least from mild steel which is. In somewhat simplified terms, iron that had been melted together [alloyed] with around 0.2 % carbon. Most metals however include several components; frequently ten or more. Each has to be carefully controlled; present in the right amount. In the old phrase, to be not too little and not too much. Such alloying components have an important effect on the properties of materials. As we said above, usually it is strength that the engineer looks for but she may be seeking other things such as corrosion resistance or even electrical properties. These, then, are the materials. What about their preparation? As we have seen, metal alloys are complex assemblies of crystals. The properties of even a given alloy composition may vary depending on exactly how, on a microscopic scale, the components are arranged. Heating in an oven and cooling carefully is a frequent method for arranging the components of an alloy to provide the grade of strength that the designer decides is necessary. Another aspect of the preparation is to ensure sufficient cleanliness. The raw materials in the form of ores or scrap often contain traces of other elements or compounds of carbon as impurities. These, after melting, may gather at the crystal boundaries. They may also gather in slightly larger quantities where they force crystals a little apart and are called inclusions. Both will be a weakness or stress concentration. For most components this is only a theoretical weakness. The weakening will either be small or extra material may be designed in. However, this is cannot be done for some other components that are under greater stresses or where the consequences of failure are too great. For these there is no space for extra material or stress concentrations cannot be allowed to encourage fatigue failure. Aircraft components frequently fall into this category and thus do Main Gear Box planet gears. Because of this, the engineer needs materials that have vanishingly small numbers of inclusions and oxides in the material that she specifies. Clearly, good housekeeping in the production process is essential. But there is one powerful process by which material can be cleaned up. This process is actually two and together they go by the dodgy acronym of VIM/VAR, which stands for Vacuum Induction Melting and Vacuum Arc Re-melting. Good technical data can be found at http://www.cartech.com/productliterature.aspx?id=1246. Both processes ensure that whilst ever the steel is molten, it is under vacuum to ensure that gases in the atmosphere do not help form brittle compounds that would get mixed in. 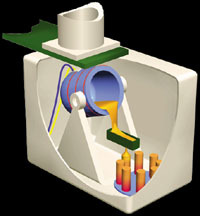 The feed stock for the VIM part is melted by electrical Induction from coils wrapped around a crucible. It. The end product of this VIM part is a precisely correct alloy composition and also ingots that are of the right size and shape for the next process. The VIM furnace looks like the following. However, another important feature of high integrity materials is the small size of the crystals. Normal heat treatment can, if it is extended over too long a time, make crystals grow. If we treat the alloy in such a way as to make the crystals small or ‘refined’, the denser network of grain boundaries makes it stronger. The VAR part does just this. Here the electrodes that come from the VIM process are again melted in the vacuum, but this time by an electric arc. A diagram of such a furnace is shown below. That is, though, not the clever bit. The secret of making small crystals comes from the way that the newly molten pool of alloy is made to re-freeze or solidify. This can be summarised as “very carefully”. 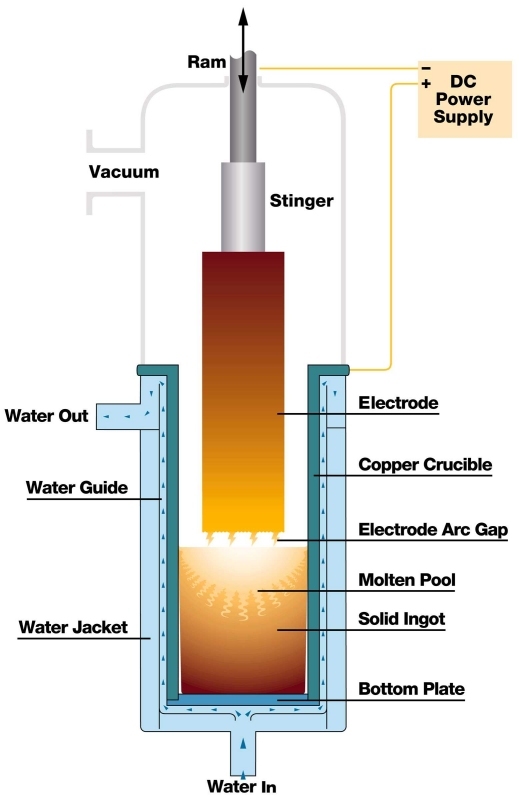 The electrode insertion in the crucible; the rate at which it is withdrawn; the electric current supplied; the rate of cooling water flow; and more; will all be controlled simultaneously. This control will ensure, firstly, that the crystals are carefully formed at the right temperature and, secondly with careful cooling, they will then be frozen at a suitable size without being allowed to grow too large. The end product is an extremely expensive material that has a micro-structure that is so fine, clean and refined that, compared to a batch of the same alloy before treatment, it is a Premier League football pitch compared to a farm meadow. There might be a case for reviewing the design of the planet gear. It is currently one piece doing two jobs; the inner part is a bearing race and the outer part is the gear. As we saw a crack passed from the bearing part and into the gear part and cracked the component asunder. There could be a case, it seems at first sight, to try and squeeze a separate gear shrunk onto a bearing race into the admittedly small space available. Thus the interface between the two would act as a crack stop avoiding this type of failure. The time that the crack took to propagate to failure whilst only one chip was detected reminds us that although in-service inspection methods must be robust, they must also be sufficiently sensitive. They must detect the deterioration of a critical component before the ability of the component to carry its design load is compromised. In this sad case, those methods did not. A major plank of a safety case is that any damaged material is released from the outside of the components. In this accident, almost certainly, the fatigue failure began and progressed until the last minutes or seconds entirely within the planet gear. Thus it was contained under its surface and away from the oil flow. All in-service inspection methods must be such that they can always be relied upon to provide advance notice of problems. The other way lies instant catastrophe. The engineer designers always have to be eternally vigilant about the giant forces that they harness. Those forces allow us to speed about our business. But if they escape their bounds then they revert, in an instant, to savage cruelty and destruction. So it was at six minutes to one o’clock on April 1st 2009 when the drive exploded and the uncontrolled power flung the men on G-REDL from the heights to the depths in less than a minute. Engineering is one of the three drivers in the advancement of the human race. This blog aims to give to career seekers and also to the general public a taste of how this might be so. They are not well served by the current media. It is an engineer posting: not a ‘scientist’. It describes real professional engineering as it is in the real world usually in the present and occasionally as it was in the recent past. For comment on this post use the ‘Leave a comment’ link below. For general comment on the blog, contact us at isambardslad@isambardkingdom.com .